Global Life Science search specialist, Coulter Partners is pleased to announce the appointment of Philipp Buis as Executive Director in their new Zurich office. This strate gic expansion enhances Coulter Partners’ presence in the key Swiss Life Science market, while also strengthening DACH and international networks further. At the heart of metropolitan Zurich near the shores of the Lake, the Seefeld office is within easy reach of both the city’s Life Science axis and its main communications, arts and cultural hub. Philipp joins the Swiss based team at Coulter Partners to focus on senior level international search across a broad spectrum of scientific and commercial functions in the Pharmaceuticals, Med Tech and Biotech sectors and with an emphasis on discovery, global clinical development and medical affairs. 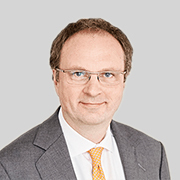 He will head the new Zurich office and draws on an extensive track record gained over 18 years in executive search, partnering with leading niche players as well as large cap corporations within Life Sciences. “It is a great pleasure to join such an outstanding global search team and continue to contribute to sustainable success in the dynamic and innovative Life Science sector,” says Philipp of his new appointment. Philipp brings substantial experience in global Life Science search as a Senior Partner with Jauch Associates and formerly as Partner at Ward Howell Group/Neumann International, with additional expertise gained across the Consumer, Professional Services, and Industrial sectors. 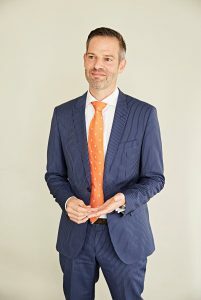 He holds a Bachelor of Business Administration from the University of Applied Sciences, Zurich and speaks German, English and French in addition to conversational Dutch. “We are delighted to welcome Philipp as Executive Director in Zurich; his breadth of experience and specialist knowledge will complement the existing Swiss team capabilities as we continue to build our presence in the DACH region,” adds CEO, Bianca Coulter.